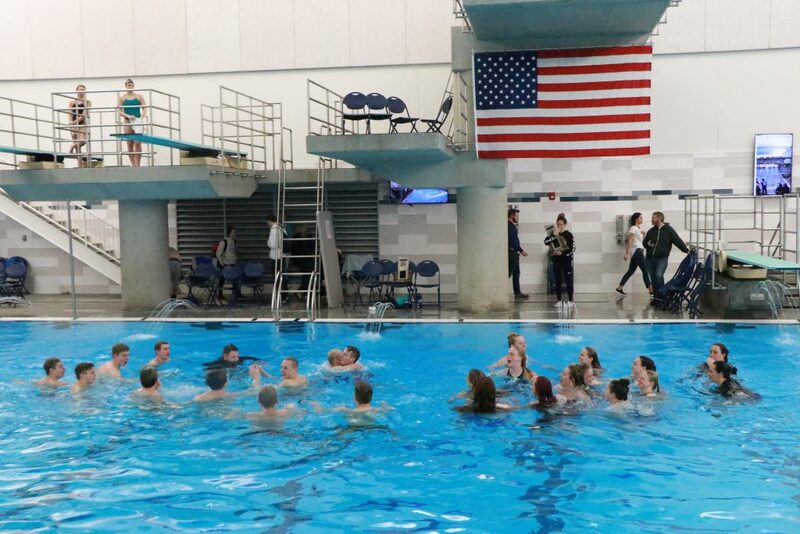 PROVO — The Desert Hills Thunder won both the girls and boys 4A state swim championships held at Brigham Young University Saturday. 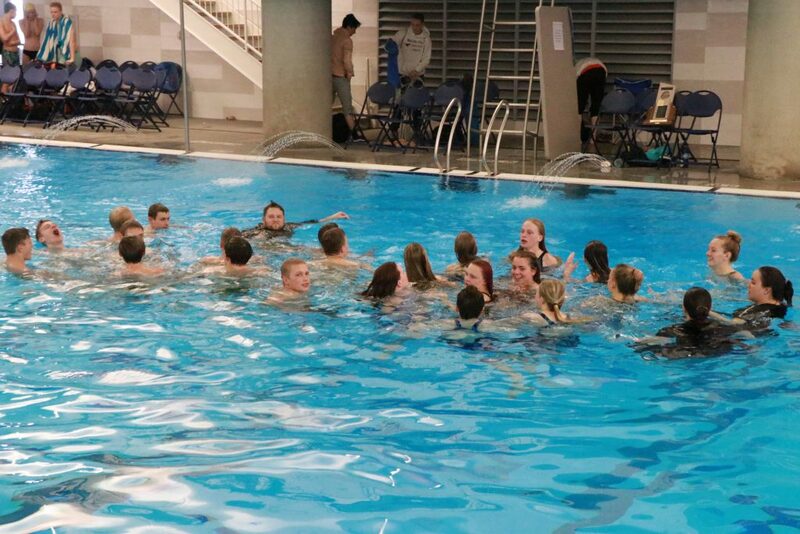 It marked the second straight state championship for the Desert Hills boys and the first-ever swimming title for the Lady Thunder. 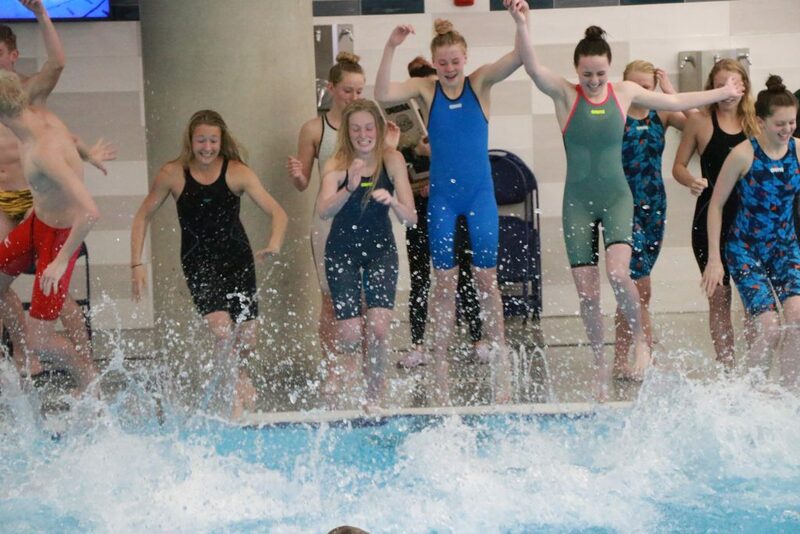 The state meet was a two-day event, with preliminary heats in individual events being staged Friday, followed by Saturday’s finals, including all team relay events. 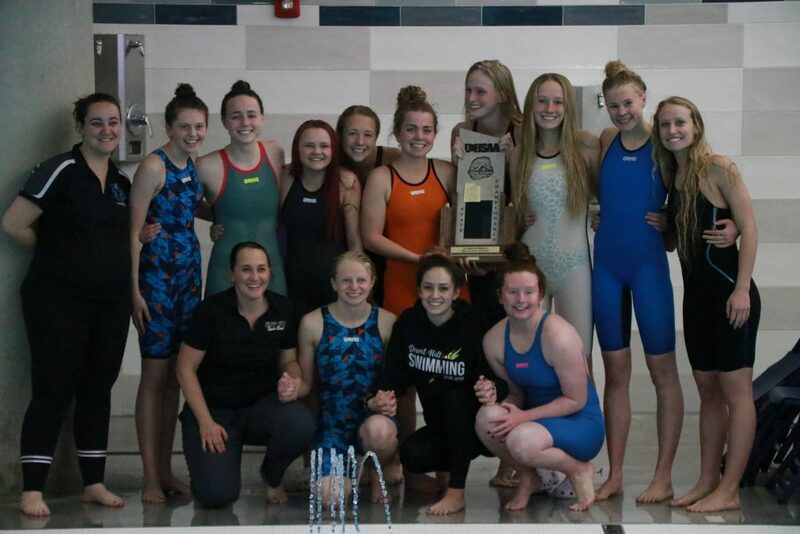 The Desert Hills girls amassed a total of 363.5 points to unseat last year’s champion Park City, which finished second this year with 317 points. Snow Canyon High placed third with 184 points. 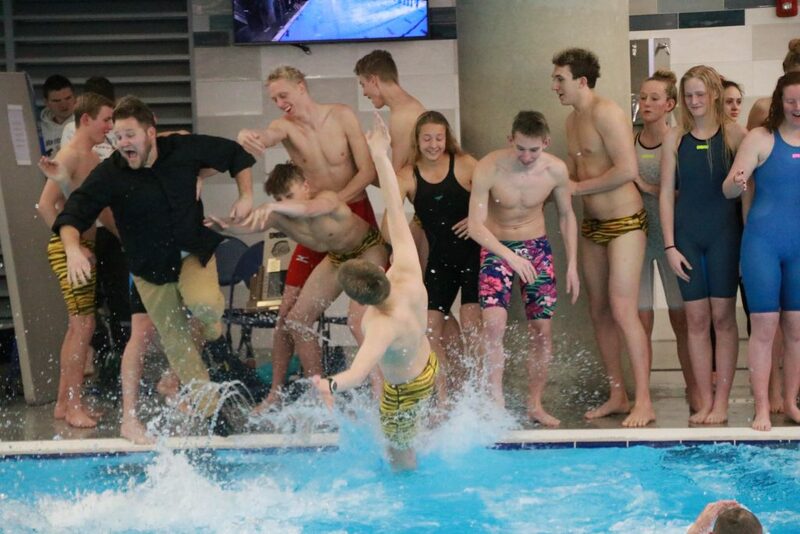 Meanwhile, the Desert Hills boys scored 320 points to repeat as 4A champs, while Region 9 rival Cedar City placed second at state with 202 points, just three points ahead of third-place Sky View, which earned 199 points total. Both Desert Hills teams won the very first race of the day — the 200-yard medley relay. The Thunder teams each picked up 40 points for taking gold in the relay and stayed in first place overall throughout the rest of the day. 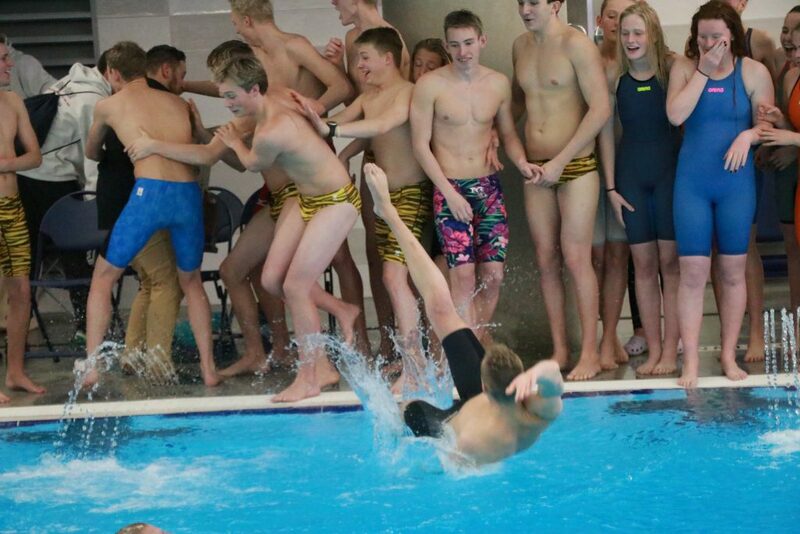 The Desert Hills boys went on to win first place in both the 200 and 400 freestyle relays as well, while the Lady Thunder placed a respective second and third in the freestyle relays. Desert Hills girls coach Dani Caldwell said afterward she is “immeasurably proud” of all of her swimmers and their performances. Caldwell also expressed her appreciation for the other teams in the competition. 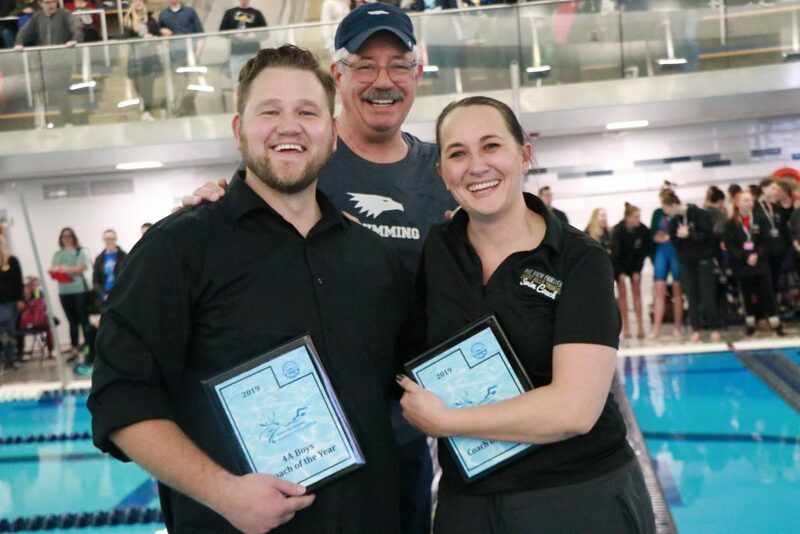 At the conclusion of the meet, Caldwell and King were named the respective 4A coaches of the year (for female and male teams) by the Utah Swimming Coaches Association. 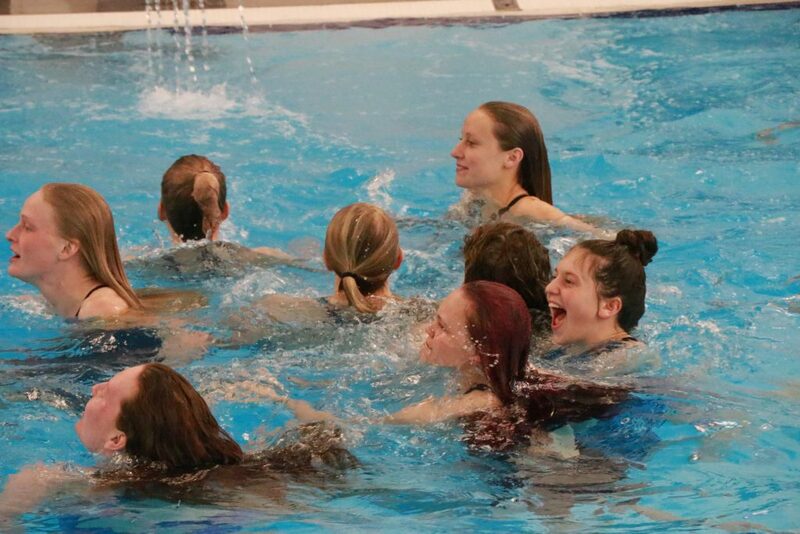 Shortly afterward, after the teams had received their first-place trophies, all of the Desert Hills athletes and coaches took a celebratory plunge in the pool, as is the custom for state champions. 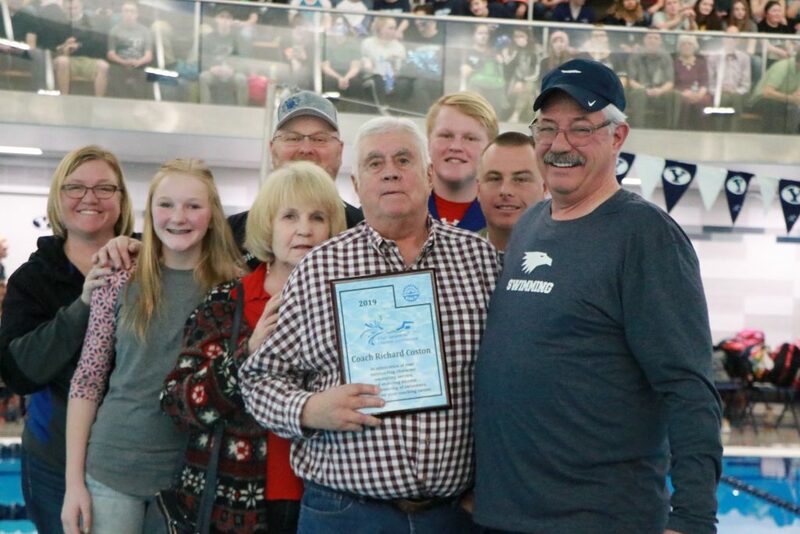 Also recognized during the meet was longtime Cedar High coach Richard Coston, who retired last year after an illustrious career that spanned four decades. Coston, accompanied by family members, received a special plaque of appreciation. Following is a summary of some of the highlights and top performances at the state 4A meet, with focus on athletes in Region 9 schools. Complete meet results can be found here. 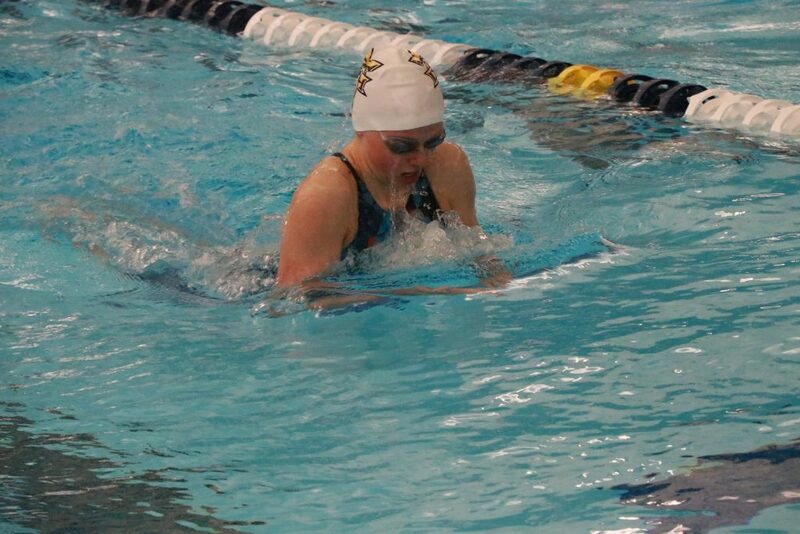 Desert Hills junior Payton Plumb won the 200 individual medley in a time of 1:54.74. 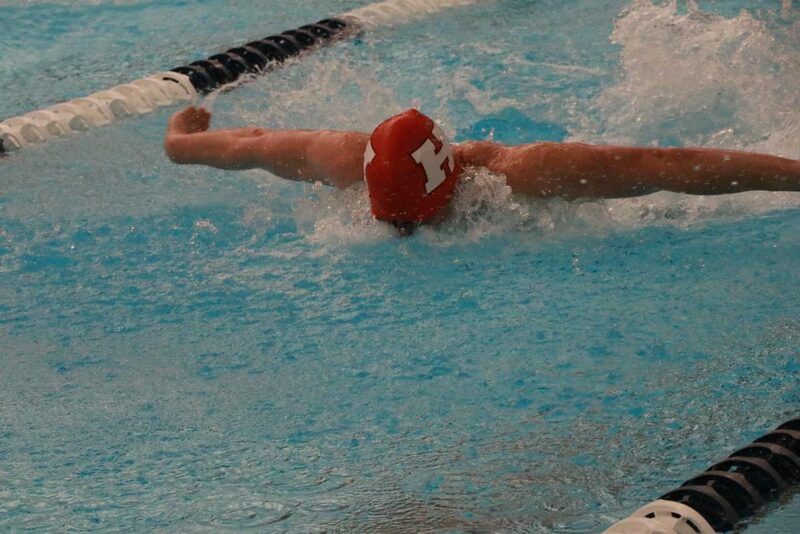 He also placed second in the 100 backstroke with a time of 50.15 seconds. Both times were personal bests. 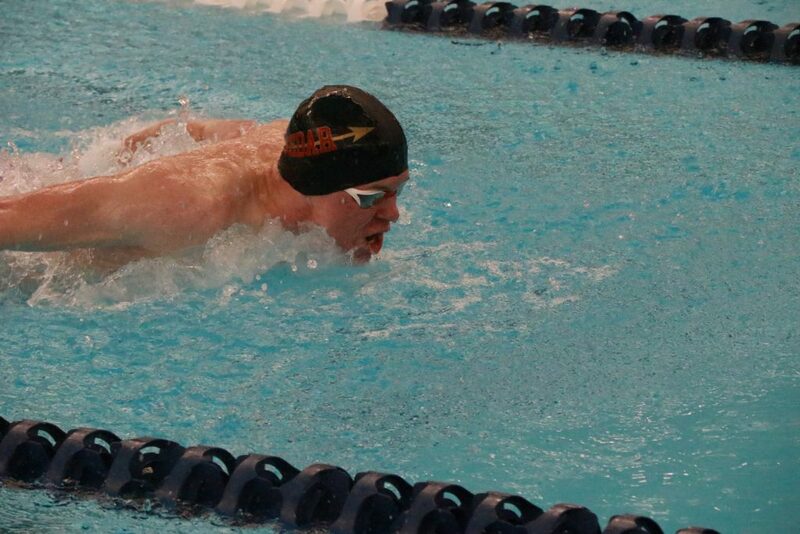 In the backstroke preliminaries Friday, Plumb slipped at the start but recovered well enough to win his heat and take second overall with a time of 51.75. In Saturday’s final, Plumb swam even faster, but was unable to overtake Sky View senior Jake Walters, who set a new 4A state record with a time of 49.49. 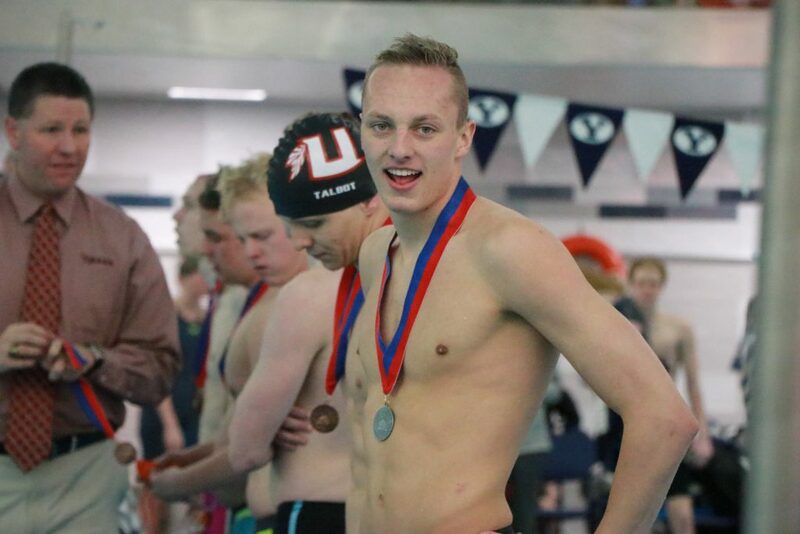 Walters, who was named the 4A male swimmer of the year based on his performance at the state meet, placed second in his other individual race, the 50 freestyle, which was won by Desert Hills’ Keegan Wawrzyniak in a time of 21.12 seconds. Walters was runner-up in 21.17. Two other Desert Hills swimmers placed in the top five in the 50 free: Ashton Anderson was fourth in 21.61 and Christian Rettie placed fifth in 21.94. 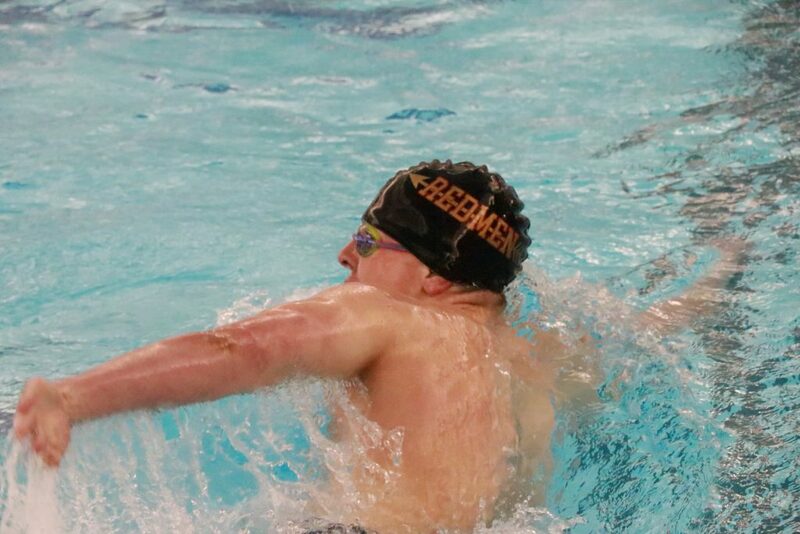 Additionally, Cedar’s Carson Brown took sixth in that event with a time of 22.24 and teammate Leon Weingartner placed eighth in 22.62. Medals were awarded down to eighth place in each individual event and down to third place in the relays. 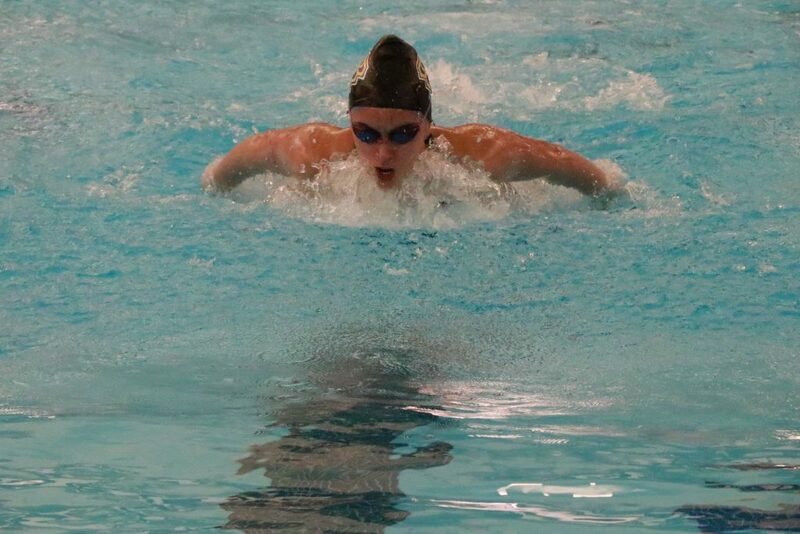 Consolation finals were also staged Saturday to determine individual event places 9-16; although those athletes didn’t win medals, they still earned points toward their team’s total. 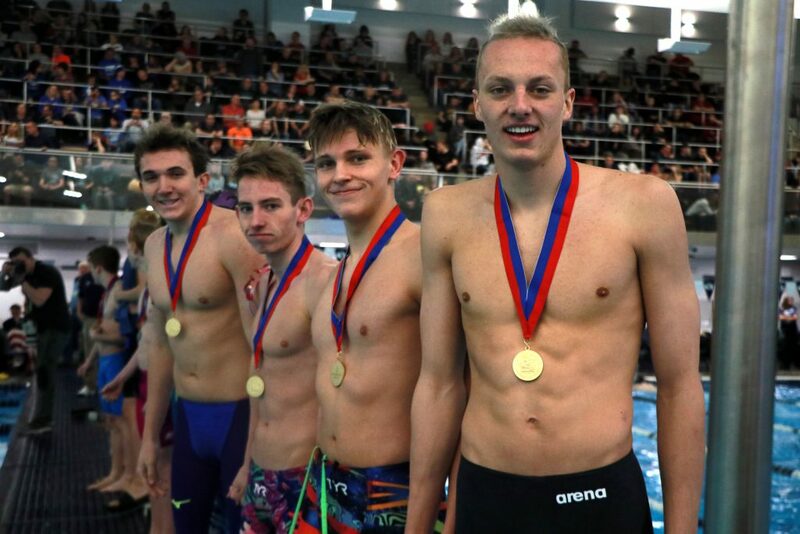 In the 100 freestyle, Desert Hills’ Anderson won the gold medal in a time of 46.72, while teammate Wawrzyniak placed second with a time of 46.96. Sophomore teammate Hyatt Iverson placed fifth with a time of 49.22. 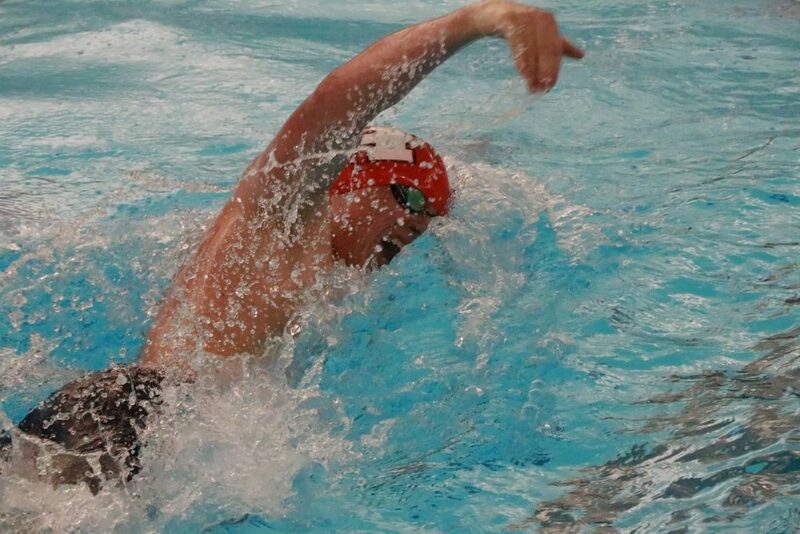 In the 200 freestyle, Hurricane senior Ryan Bunn established a new personal best time of 1:44.50 in the finals, but was not able to overtake Sky View’s Darwin Anderson (1:42.84) or Spanish Fork’s Austin Butler (1:43.87). Bunn said afterward his third-place finish in that event motivated him to finish stronger in his other race that day, the 100 butterfly. In the butterfly event, the third-seeded Bunn trailed most of the race, but came on strong at the end to overtake both Green Canyon’s Jaxon Jensen and Lehi’s Nic Tronson and win in a personal-best time of 51.79. 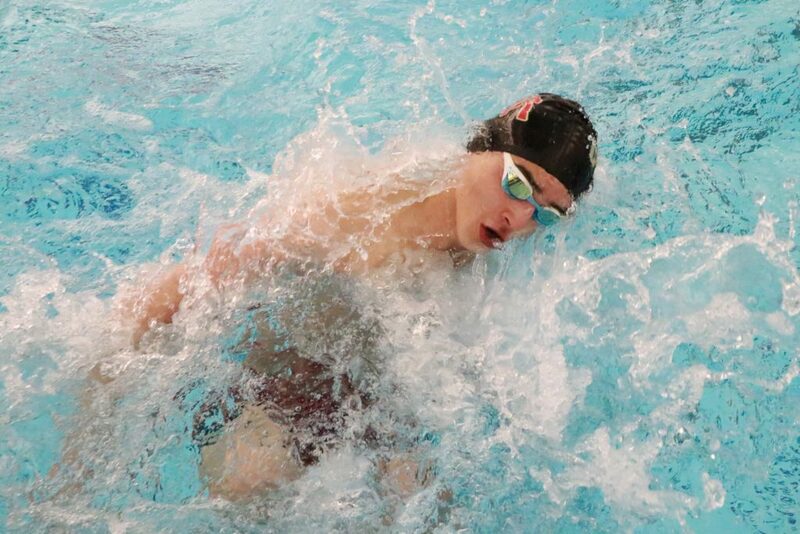 “Ryan has a really good closing speed, especially in his 100’s, so his second 50 of the fly, he held much stronger than the other guys,” said Hurricane head coach Heath Thurston. Senior Wyatt Kjar of Cedar was the top placer from Region 9 in the 500 freestyle, taking third overall with a personal-best time of 4:51.94. Freshman Max Cannon of Canyon View placed fifth with a time of 4:57.27. 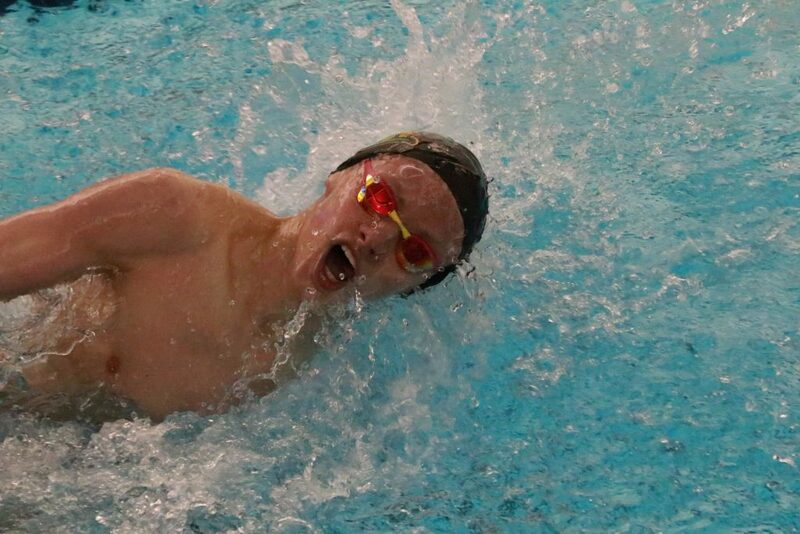 Region 9 swimmers also had a strong showing in the 100 breaststroke, capturing five of the top six spots. Cedar junior Reuben Dotson placed second with a time of 1:00.73, trailing only Juan Diego junior Alexander Gustat, who finished in 1:00.04. Coming in third place was Canyon View’s Cannon, followed by Cedar’s Weingartner, Snow Canyon’s Barnett and Hurricane junior Ethan Kochel. 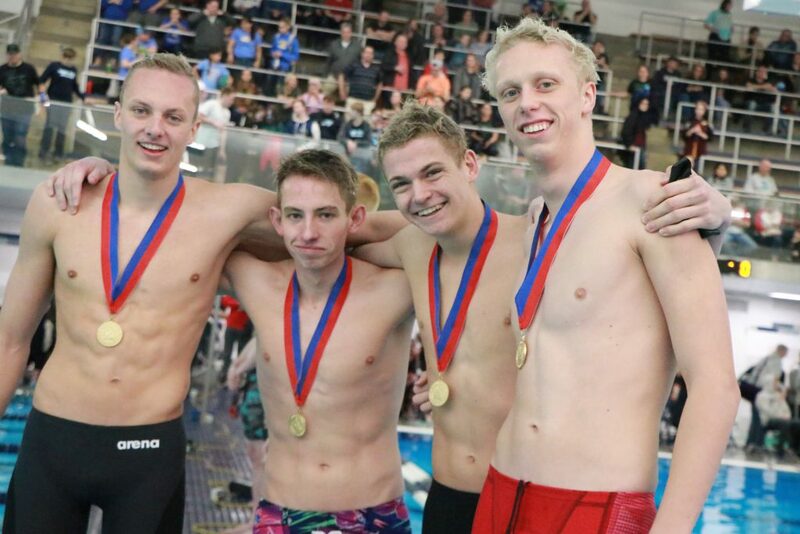 The Desert Hills boys finished off the state meet with a bang, breaking their own state 4A record in the 400 freestyle relay. Competing in that event, in order, were Plumb, senior Gavin Crawford, Anderson and Wawrzyniak. Their winning time of 3:10.16 was more than six seconds ahead of runner-up Spanish Fork. 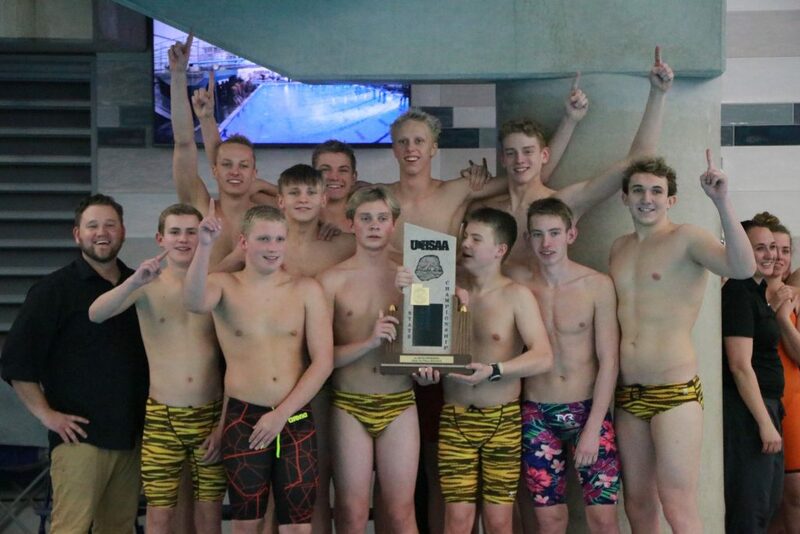 Desert Hills’ winning time is also a new Utah state record across all classifications, eclipsing the previous mark of 3:10.51, set by 5A’s Brighton High in 2013. 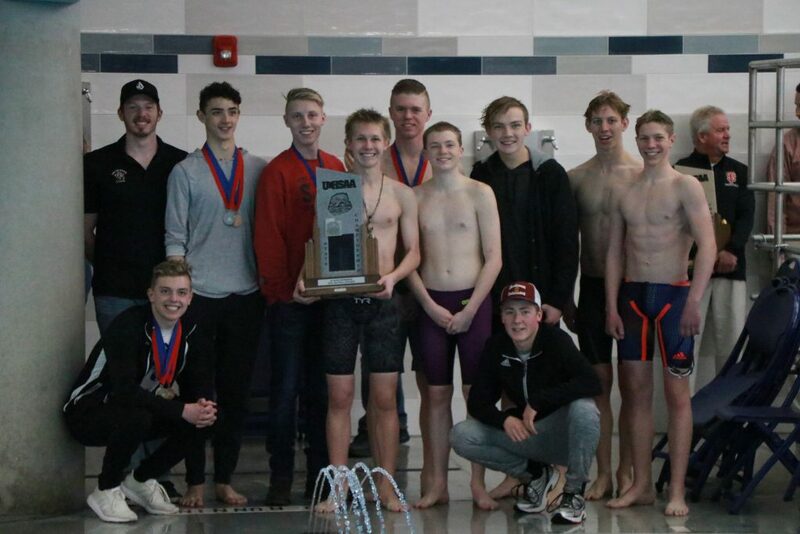 Of the 22 boys teams at the state 4A meet, Region 9 schools placed and scored as follows: Desert Hills took first with 320 points, Cedar placed second with 202, Snow Canyon was eighth with 118, Hurricane was 12th with 71, Canyon View was 13th with 65 and Dixie was 18th with 26. Region 9’s top swimmer in the girls 200 free was Snow Canyon senior Nicole Christensen, who placed third in a time of 1:59.79. Desert Hills’ Trinity Schimbeck and Kela Hansen finished a respective fourth and fifth in the 200 free. 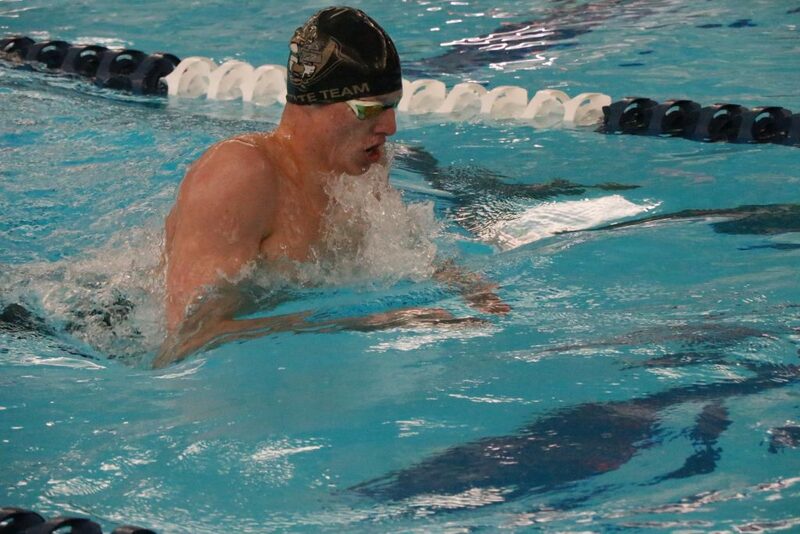 Snow Canyon’s Christensen also placed second in the 500 freestyle with a time of 5:23.80. 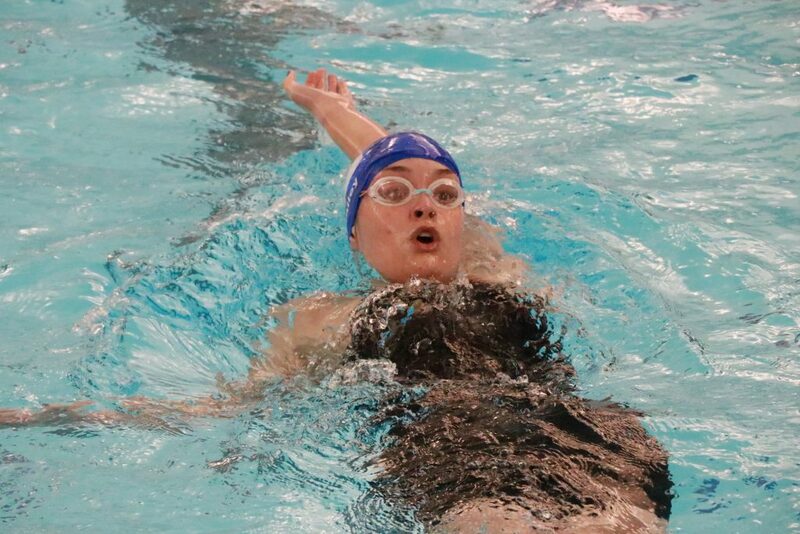 She trailed only Park City senior Elise Beller, who was named 4A female swimmer of the year. 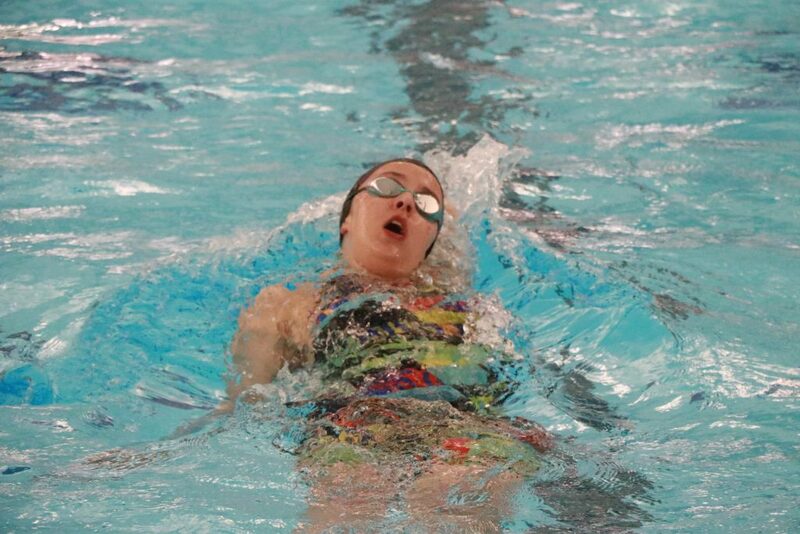 Beller also won the 200-yard individual medley. 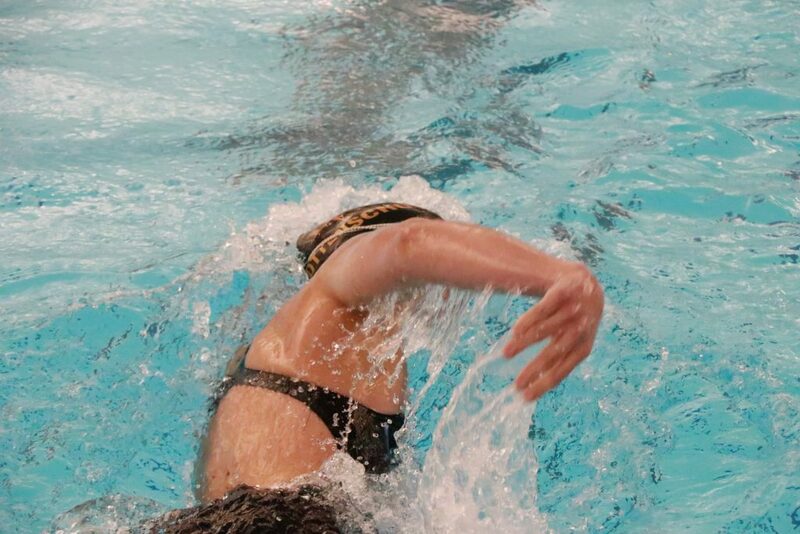 Desert Hills had three medalists in the 200 IM, led by Sarah Hansen, who placed third with a time of 2:13.24. Teammates Stephanie Dansie and Taylor Porter placed sixth and seventh, respectively. 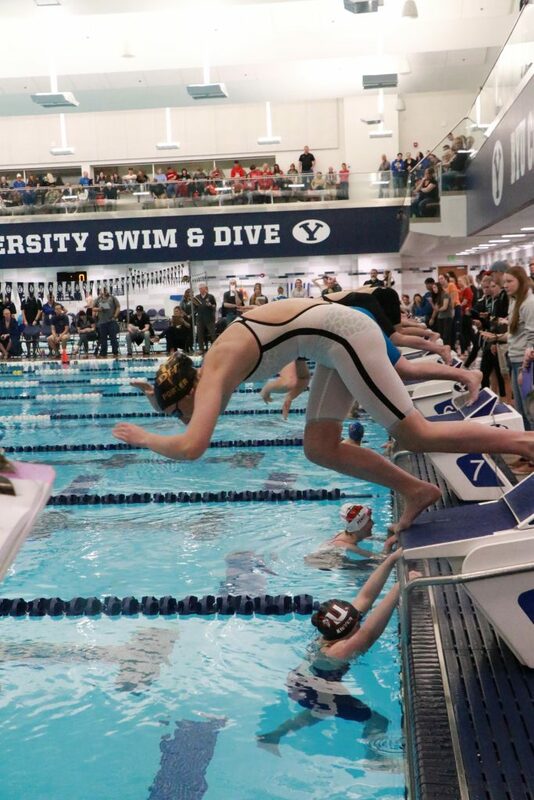 Also from Region 9, Snow Canyon freshman Kylie Barber placed fourth with a time of 2:14.53. Desert Hills also had three medalists in the 500 free, with Schimbeck taking third, Kela Hansen placing fourth and Porter finishing fifth. Desert Hills sophomore Caitlin Romprey won the 100 backstroke in a time of 57.22, edging Cedar’s Elisa Price, who finished second with a time of 57.67. 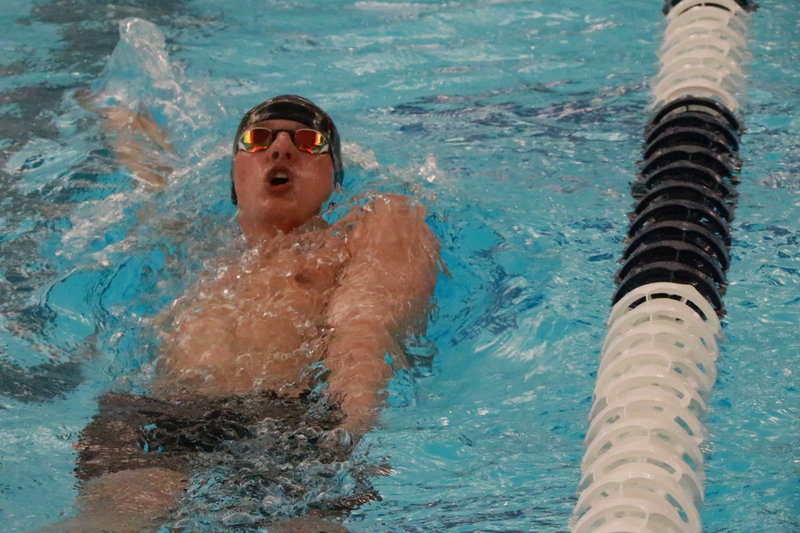 Romprey also finished fourth in the 50 freestyle with a time of 25.09 seconds. Also medaling in the 50 free from Region 9 were Snow Canyon’s Cambria Callaway, who took fifth in 25.21; Desert Hills’ Mya Ottenschot, who was sixth in 25.29; and Canyon View’s Jesi Anderson, who was eighth in 25.85. 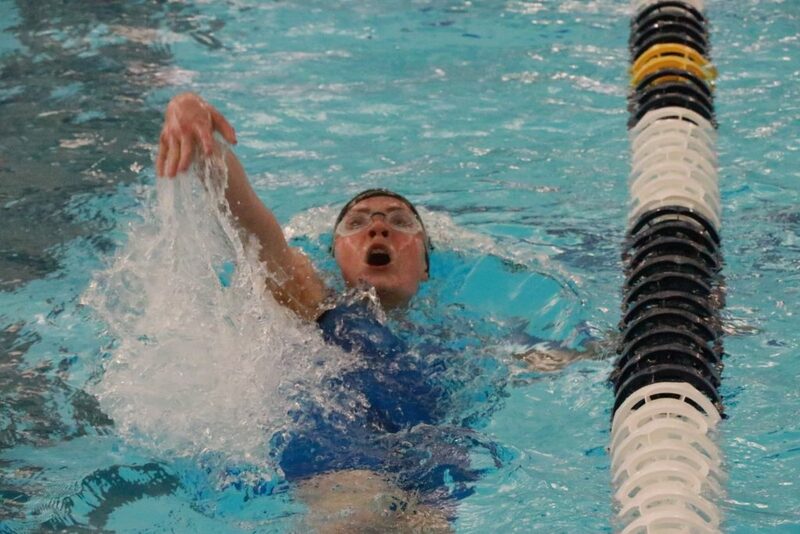 Callaway also placed fourth in the 100 freestyle with a time of 54.72, while Ottenschot took fifth in that race with a time of 55.57. 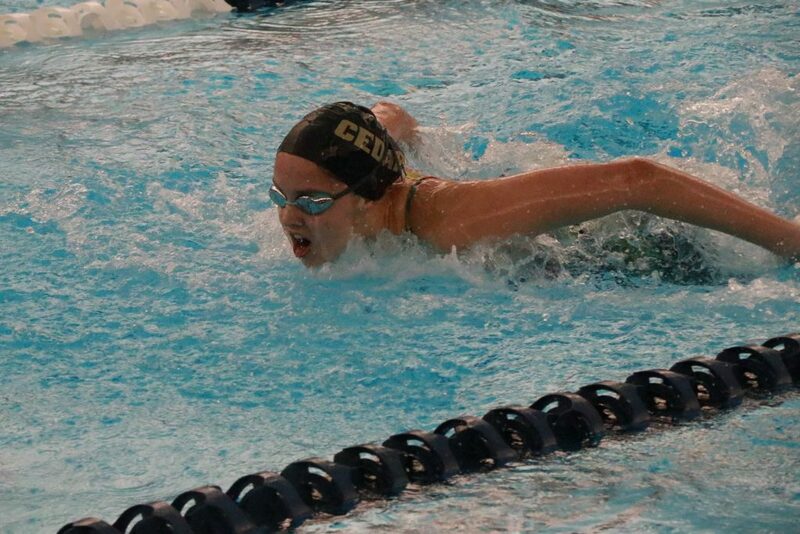 Cedar’s Price won the 100 butterfly in a personal-best time of 57.83, while Snow Canyon’s Barber placed second in 58.21, also a PR. Hailey Greer of Dixie placed sixth in the 100 fly, and Stephanie Dansie of Desert Hills placed seventh. Desert Hills senior Sarah Hansen tied for second place in the 100 breaststroke with a time of 1:10.50, the same time as Jenna Gibbons of Sky View. Addison Richards of Orem was the winner in 1:07.29. 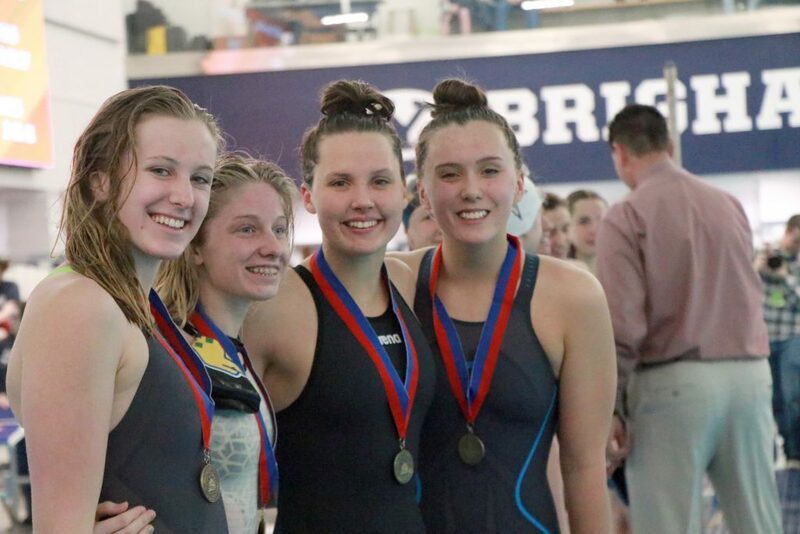 Also in the 100 breast, Hurricane freshman Savannah Kochel took fifth, Desert Hills senior Madison Dunlavy placed sixth and Pine View sophomore Kyleigh Messinger placed eighth. 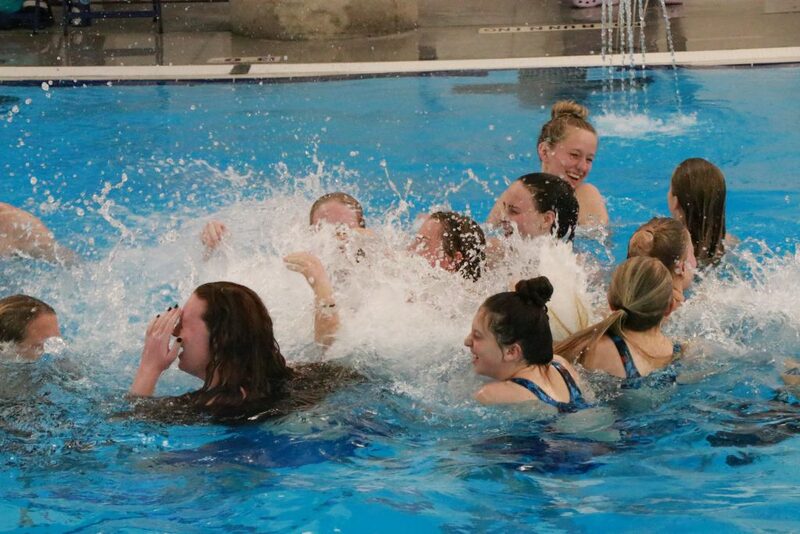 Of the 25 girls teams at the state 4A meet, Region 9 schools placed as follows: Desert Hills placed first with 363.5 points, Snow Canyon was third with 184, Cedar was ninth with 105, Dixie was 11th with 65, Pine View was 13th with 58, Canyon View was 14th with 56.5 and Hurricane was 20th with 14.